Add ingredients to blender with ice and blend till smooth. Pour into glass and serve. 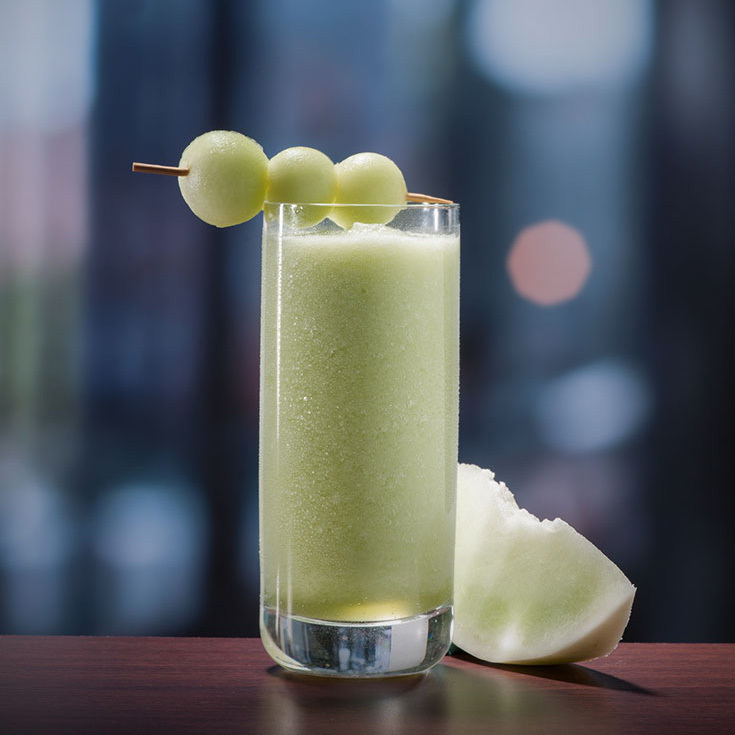 Garnish with honeydew melon.